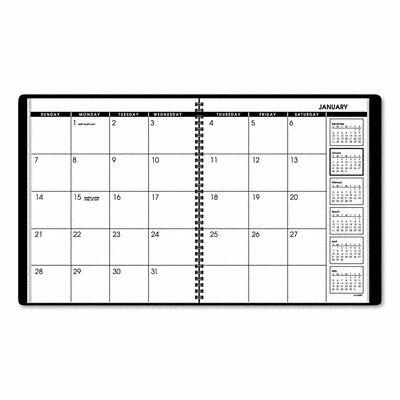 Makes monthly planning easy and organized. Six-month reference on each spread in columnar format for easier planning. Makes monthly planning easy and organized. Six-month reference on each spread in columnar format for easier planning. Telephone/address pages for contacts.